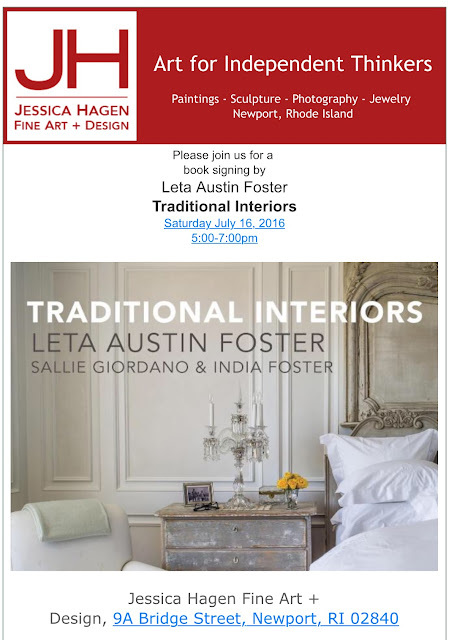 The second stop will be on Saturday, July 16th in Newport at Jessica Hagen's Fine Art and Design. 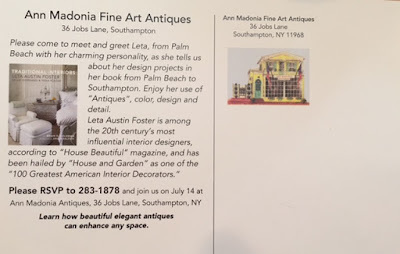 Her visit there will be from 5 to 7 pm. 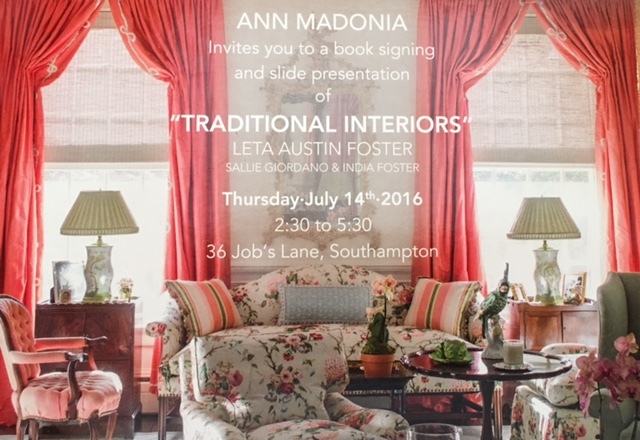 If you already have a copy of the book, Traditional Interiors, bring it with you and get a personalized signing. If not, here is your opportunity to grab one of these phenomenal tomes ! And as Leta always says, "Be there or be square !" or "See you round like a doughnut !"